If you’re first choice striker at one of the world’s richest and most successful clubs, owning a Bugatti Veyron is one of the many perks that come with the job. Voted Car of the Decade (2000–2009) by popular car show TopGear, Benzema’s Bugatti top speeds at over 400km/h, making it the fastest street-legal vehicle in the world according to the Guinness World Records. The French international should take inspiration from his mean machine to help second-placed Real Madrid close the four-point gap between them and rivals Barcelona in the race for the La Liga title. Los Blancos take on Granada at home in a league clash on Sunday. The 27-year-old has netted 20 goals in 41 appearances for Real Madrid this season. 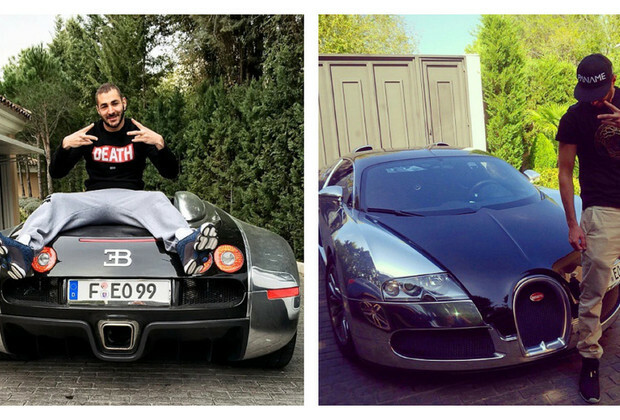 Watch Karim bumping Tupac's "Check Out Time" in his Bugatti.